Housing prices are nuts up there. Oh yeah. Might have to be your neighbour! Wow that's awesome. There's an ******* at my work.building that purchased 2 parking spots in the front, and drives 2 Jaguar XJRs - one white, one red - and parks like a **** nearly every time. Bunch of Porches, Audi's, BMWs (including M class) and across the street are a couple of Bentley's. Too bad I'm not a rich Asian, or I would've been one of the 17 y/o's driving around in a Nissan GTR too. I roll around in a $4000 turd. i didnt catch where your from, but it sounds like the greater vancouver area. That's usually the first guess because of that issue still happening there. I'm in the 2nd worst area of Canada - Toronto. I keep looking at Langely or Abbotsford because I wouldn't need to travel downtown for a higher wage job, and it's still (relatively) cheap to live there. im in abbotsford, the market all the way out past chilliwack is nuts. the problem is so many people have had to leave vancouver and the surrounding areas because its so unaffordable, its pushed the housing prices through the roof. condos in abbotsford are now starting at $300k. to find an average size house with a garage your looking $550-600k in chilliwack. if you want that same house in langley your gonna be $800k+. my boss threw out the idea of moving our shop to the interior and i was all over that. if i go 3 hours east of where i am now, a condo is $120k, and houses with a garage start in the mid $250k range. ill never be able to buy anything in the lower mainland, so why bother staying. When I first bought the Miata 6 years ago I was planning on making it into a Spec Miata racecar. After I bought it, I started doing some routine maintenance and I discovered it had been in a front-end at some point in it's past. The frame horn had a good crease in it. It caused me to rethink investing money into the shell (namely the roll cage). A friend at work had built a Sevenesque using a Miata and pointed me towards the Exocet (because I had no welding experience and didn't want to kill myself). It's hard to tell but it fits! Now I can clean it up and paint it. BTW, that spot of patchy paint that I circled was due to a leaky BMC that the PO didn't fix (they told me about it when I bought it). They're not kidding when they say brake fluid eats paint. There was a shelf on the tub where it dripped and that shelf was completely stripped of paint. Luckily nothing rusts here so it's still just bare metal. Last edited by exninja; 06-22-2018 at 01:27 PM. Very nice! It's coming together quite well. You can buy a nice house around my small town in Indiana with a 3-4 car garage under 200k. Lots of jobs too. i did need to use the ratchet strap to get the bolts better lined up. I'm wondering how much trouble I'll have when it comes time to make them for reals. I'm thinking of leaving the engine out, then lowering the frame. Remind me to call you when I want to install my turbo charger. Dont you have a chain lift or something to help against the weight distribution? Not exactly sure what you mean. 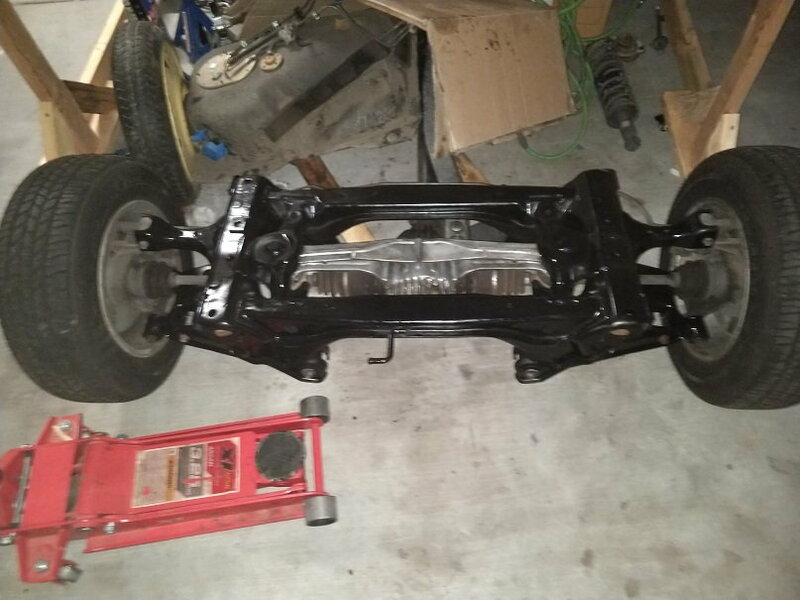 When I lower it, I'll likely use my engine hoist/cherry picker to lower the chassis onto the subframes. When the holes line up, I can drop the bolts through the holes. The front subframe holes were a smidgen wider than the corresponding chassis holes. 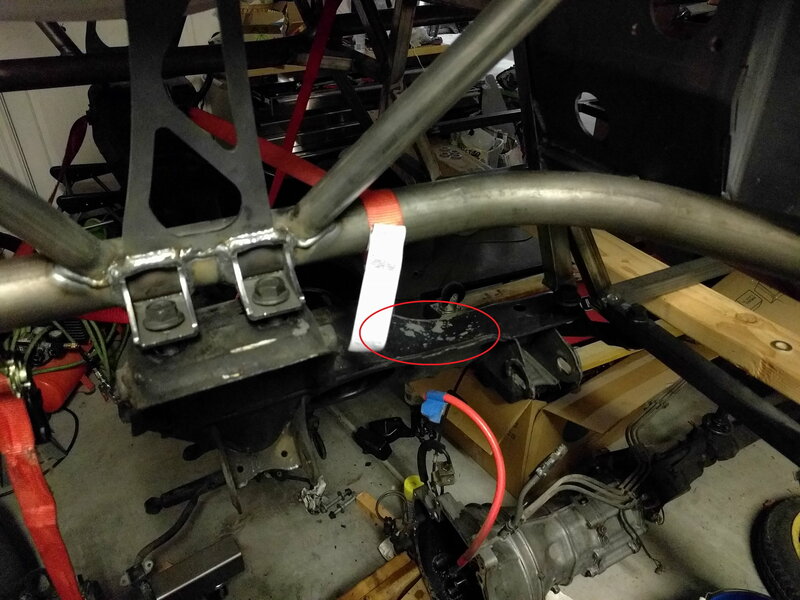 I used the ratchet strap to pull the pax side of the subframe towards the driver side of the chassis, with bolts in the driver side holes already. With the engine in the subframe, that would be very difficult to do. 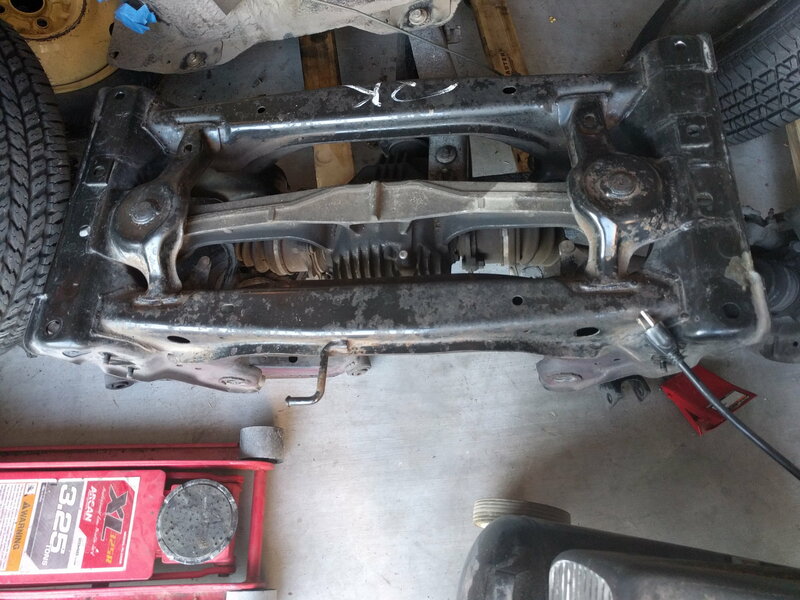 It's possible that I could use the engine mounts could pull the subframe sides together, but I'm thinking the opposite would be what actually happens (as in the weight of the engine pushes the subframe sides further apart). I did mean engine hoist (term slipped my mind) but now I understand the problem. I think the mounts would do you a favour to at least hold the engine in place to line up the bolt holes, but if you're already ratched down the sides, I mean you're not saving yourself any time or muscle one way or the other now. The subframe is going to come off tonight or tomorrow. This was just a temporary test fit. I need to scrub it down and paint it. 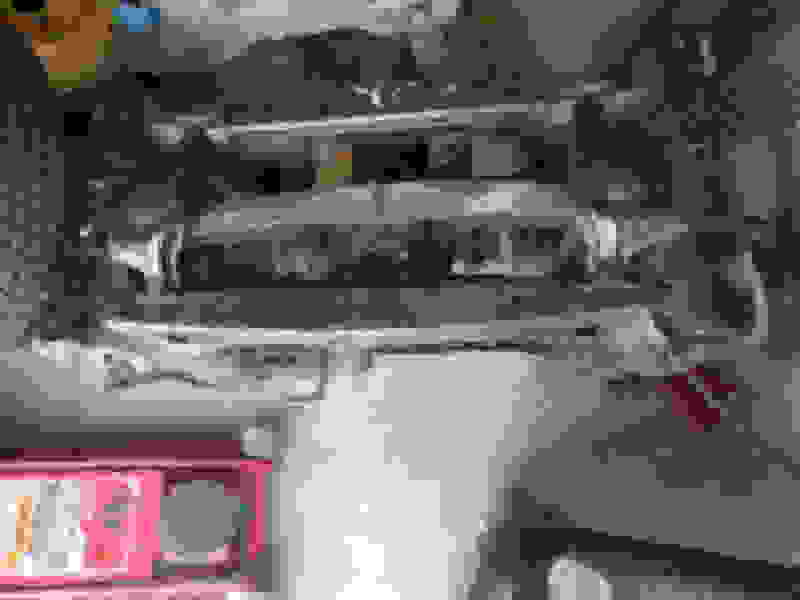 I'll reattach the suspension to the subframe. At that point, I could just lower the chassis down. The nice thing about an exo chassis is there is plenty of access to everything. Cleaned and painted the front subframe. Cleaned transmission and PPF frame to rear diff. 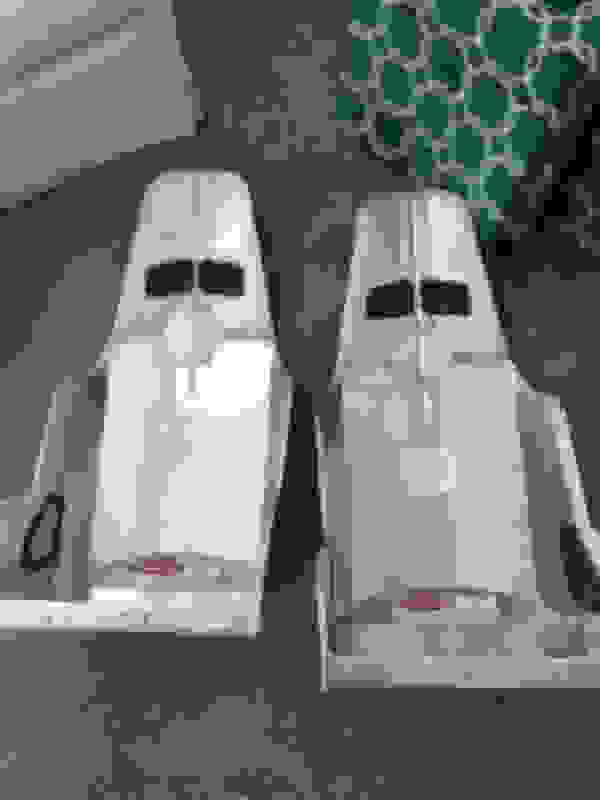 Bought Kirkey 55 Series seats and covers, side brackets, and one back brace. I am going to put the driver's seat on sliders and the passenger seat fixed. I don't know if the back brace is going to work on the driver's side. There is a solution here that will work: https://www.ioportracing.com/install...just-i/o-port/ Or maybe here: https://www.ioportracing.com/install...at-back-brace/ but those are pricey. Running an Android tablet as my gauge cluster is becoming the preferred solution. No one has responded that they'll donate an old one to me yet but I'll keep begging I've got plenty of time. The problem with an exoframe car is that it kind of forces you to keep it clean. I'm not good about keeping my stuff clean so it is, and will always be, one of the more difficult things about this car. On Friday I wheeled out the rear end and washed it with soap and water. It didn't have as much oil and such as the front, mostly just 20 years of dirt and dust. I was hoping to get away with just washing it but I'm not so lucky. Washing it uncovered that much of what looked like "dirt" was actually some surface rust so I'll be cleaning that off then painting this week. 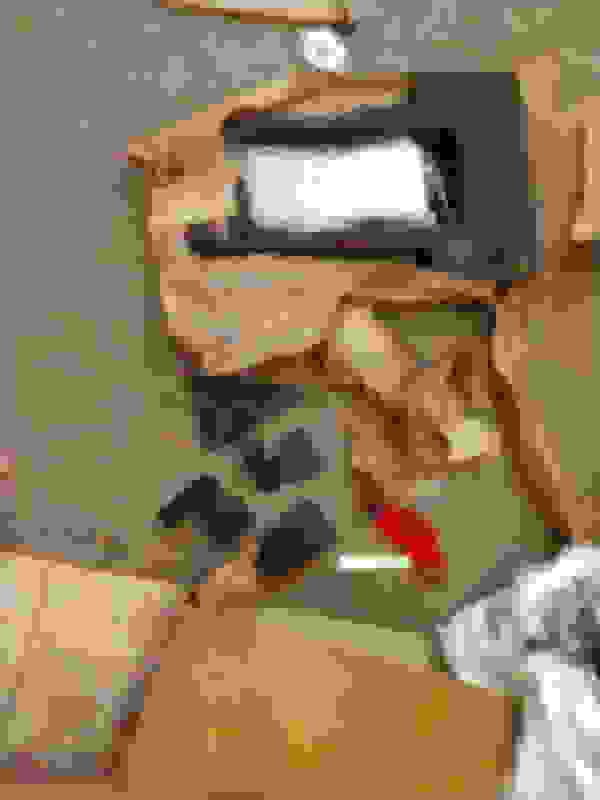 There was also a bunch of overspray from when the PO did a crappy repaint at some time in the past. I took apart the rear suspension on Saturday. Good News: The engine swap kit is 4-8 business days away from me. That means I can't use it as an excuse to not work on the car anymore. Unfortunately the ARP bolts that hold the flywheel to the crank through a spacer won't be here till at least the beginning of August. The website said it would ship next week when I ordered, but after I bought them it said end of July. It shouldn't hold me back. Honestly if it doesn't cost you a ton I agree with Hgt, I would blast it and have it powder coated especially since it's gonna be semi exposed and getting hit by rocks. Unless you are going to por15 it and use a stout paint. I'm not worried about the control arms and subframe. They've done fine over 27 years and I can just touch it up if I need. Just two more control arms to do, then clean the diff, and then assembly officially begins! Reassembly has officially begun. The rear end is back together. I'm going to leave the sway bar off for now. Sorry the picture's a little blurry. The engine swap kit (mostly) arrived. They forgot the bushings in the engine mounts so those are still coming. The mating surface isn't level. They said it will mate fine. We'll see how that goes.